The Oneida County Museum is housed in a building that was built in 1914 as the R. B. Davis Drug Store and Boarding House. The original safe and pressed-tin ceiling are still intact. After leasing the museum building for many years from the R.B. 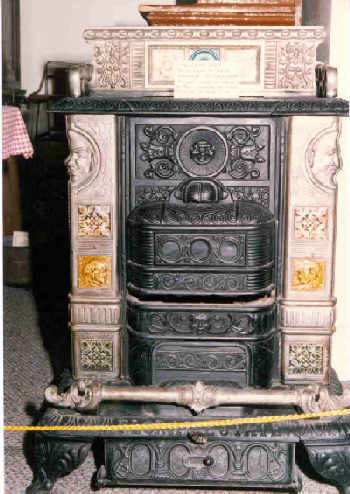 Davis family, the building was generously gifted to the Oneida County Relic Preservation and Historical Society (The Oneida County Museum) on December 26, 2012, by the R.B. Davis Ranch, Inc. 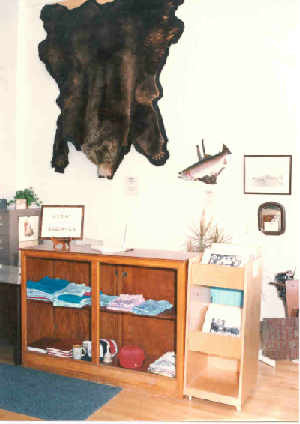 The museum had its origins in a collection of mementos gathered by Miss Hattie Morgan and the Native Daughters of the Idaho Pioneers (NDIP) groups in the 1930’s. In the spring of 1963, when Malad City began planning for a town centennial celebration for the summer of 1964, Anella Jones Price, who was the president at that time of the NDIP, spearheaded the gathering of the artifacts for an exhibit. 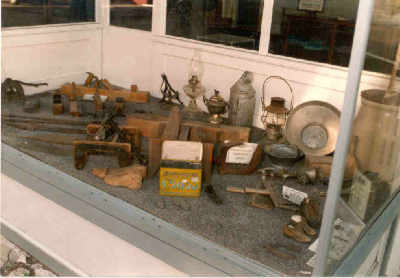 From that time on, the artifacts were displayed at several locations in Malad City until they found a permanent home when the R.B. Davis family agreed to lease the old drugstore to the museum group through the efforts of the Oneida Economic Development Group acting through the GEM Community Committee. 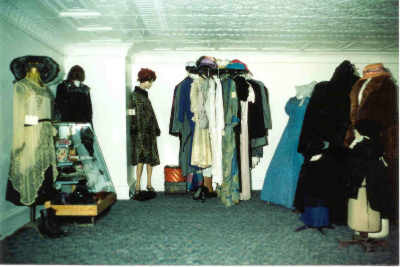 A grant was obtained to renovate the building and a grand opening and dedication was held on July 24, 1992. 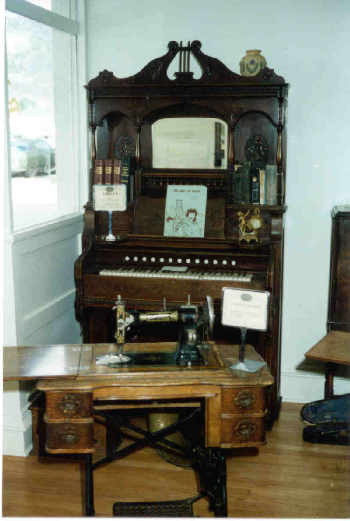 The museum displays a variety of local treasures, including furniture, photos, old quilts, toys, farm implements, musical instruments, clothing, hats, and materials from the old Evans Co-op. Also, personal journals and records of all clubs, including War Mothers, Belletrists, Fine Arts, Ladies Literary, Daughters of Utah Pioneers and Native Daughters of Idaho Pioneers. There is a Library Corner with pictures, old books, including short stories and histories, and books with genealogies of local families, and a military display of local heroes who fought in the wars. Photographs are on display on the walls of the building. The museum is located at 27 Bannock Street in Malad and is open beginning the weekend of Memorial Day and thereafter every Tuesday through Saturday from 1:00 p.m. to 5 p.m. during summer months or by appointment. During business hours the museum can be reached by calling 208-766-9247. Those wanting to visit the museum at a different time, or who wish to have a group tour, please call Fay Cottle at 208-766-4847 (home) or 208-406-6172 (cell) or Christie Oja at 208-317-4369. Malad's first museum was housed in an old log house on the corner of Bannock and 200 West. 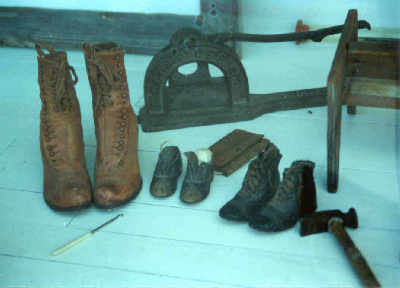 In 1935 Miss Hattie Morgan collected a few of her own mementos, and with the aid of her friends in the Native Daughters of the Idaho Pioneers, put together a worthwhile display of artifacts and antiques. the old log cabin was her family homestead and was built by her father. Miss Morgan was a noted historian and well-known for her efforts in preserving her heritage. She was the activating energy in the organization of the NDIP. 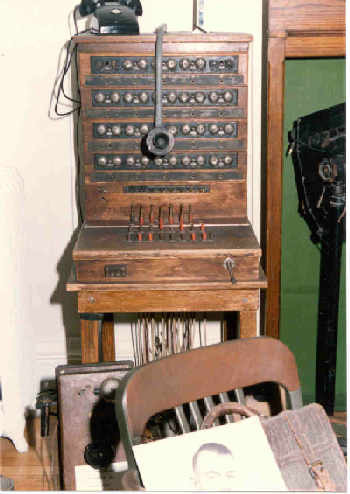 At one time there were 14 stations in Idaho, with three being formed in the Malad Valley. 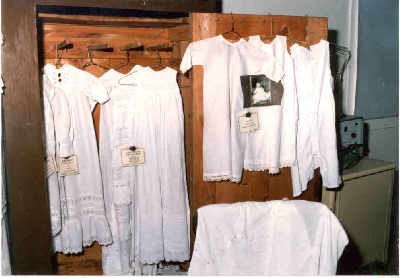 The organization stated that any female over 30 years of age, and a lineal descendant of an Idaho pioneer coming to the are before 1890 when Idaho became a state, was eligible to join the group. One of the primary goals of the Daughters was the gathering of histories of their ancestors and the preservation of antiques. 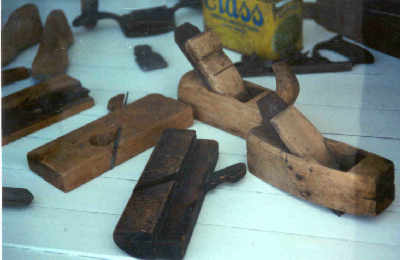 When the cabin was torn down to make way for progress, the relics were removed to various basements and storage sheds. In the spring of 1963 Malad began planning for a town centennial celebration for the following summer. AnnElla Jones Price was the president of the NDIP at the time and spearheaded the gathering of the artifacts for an exhibit in the Lions Den during the celebration. In 1965 the J.N. 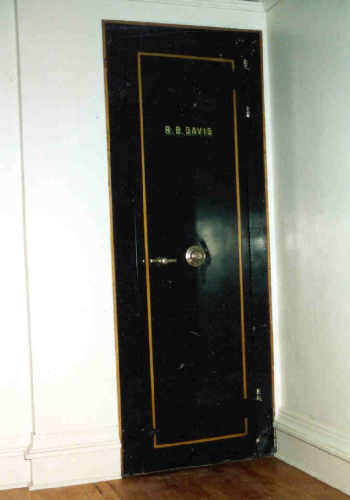 Ireland Bank had moved to their new building on Bannock Street and offered the corner room in the Evans building as a prominent place for the collection to be displayed. 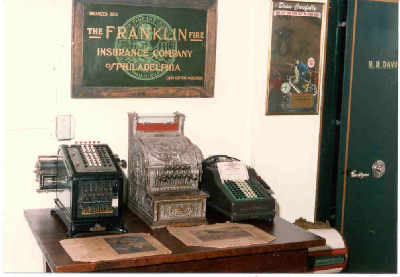 the collection remained there until 1975 when the Evans' Co-op store decided to remodel and enlarge their floor area. At that time the relics were threatened with being homeless again. A new hospital had been built by then, and the old hospital owned by Oneida County, was suggested as a place to store the items. don Evans and his crew provided the manpower and trucks for the move. 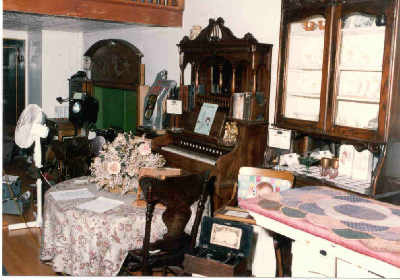 Many items from the Evans' Co-op store, including antique furniture and clothing, were given to the NDIP at this time. 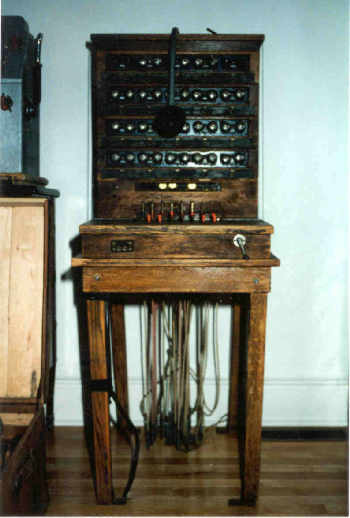 thus the Pioneer Relic Rooms were established. the Daughters spent many hours cleaning, labeling, arranging and building shelves to better display the treasures they had collected through the years. 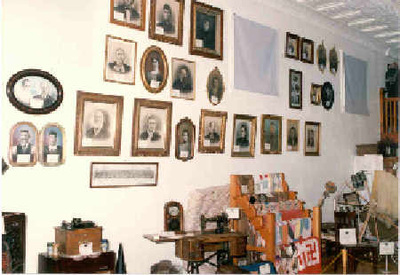 The Daughters of the Utah Pioneers gave financial assistance and many hours of volunteer work in helping make the museum available to the public. 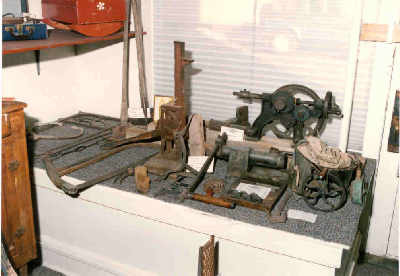 the exhibits were open for public viewing on Memorial Day and Pioneer Day for many years. School groups, scout troops and tourists were able to see the exhibits by appointment. In June, 1990, a new organization was formed to maintain and be responsible for the museum. 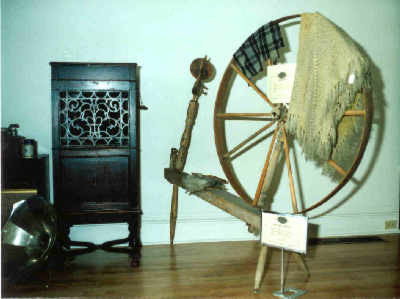 this organization, called "The Oneida County Relic Preservations and Historical society," had as its primary goal the relocation of the museum to a downtown, ground-floor location so it would be more easily accessible to the elderly, the handicapped, and to the public in general. 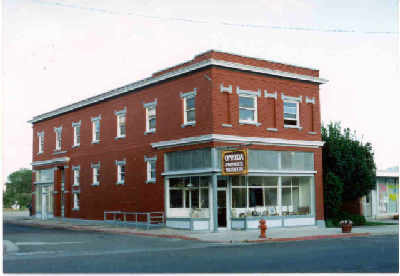 Earlier, in 1989, a Gem Committee was selected by the city officials to create an Economic Development Organization in Malad City and Oneida county under the direction of the Southeastern Idaho Council of Governments (SICOG). Sandra P. Hess has named chairperson and worked with city officials to put together a diversified committee to begin the Gem Community Projects. The original Gem Community members were as follows: Sandra Hess, Con Alder, Larry Thomas, Marie Neal, Dianne Pett, Terrill Schwartz, Craig Daniels, Monte Thomas, Rod Jones, Marc Thomson, Jared Crowther, Bon Christopherson, Gene Caldwell, Susan Wittman, and Lynn Price. Out of this the Economic Development Committee was born. One of the first goals in the committees' action plan was to relocate the historical artifacts and information recounting the early history of the Malad Valley to a convenient location within the community. By awarding of the Gem Community grant, and funds supplied by the Oneida County and Malad City, along with the generous donation of the R.B. 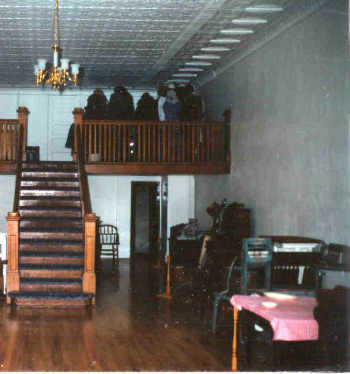 Davis Building, the Oneida Pioneer Museum became a reality.